Presenting Tu Chahiye video song from the upcoming action thriller Bajrangi Bhaijaan. The song is a romantic number featuring Salman Khan and Kareena Kapoor Khan who are seen romancing with each other in the areas of old Delhi. Salman is looking absolutely cute and adorable while Kareena too impresses with her de-glam avatar. The chemistry of the lead pair reminds you off the superhit number Teri Meri from Bodyguard. Apart from the presence of Salman and Kareena, the highlight of the song is Atif Aslam who has lent his vocals for Salman Khan for the first time and he has done it effortlessly. The music is composed by Pritam and lyrics are written by Amitabh Bhattacharya. 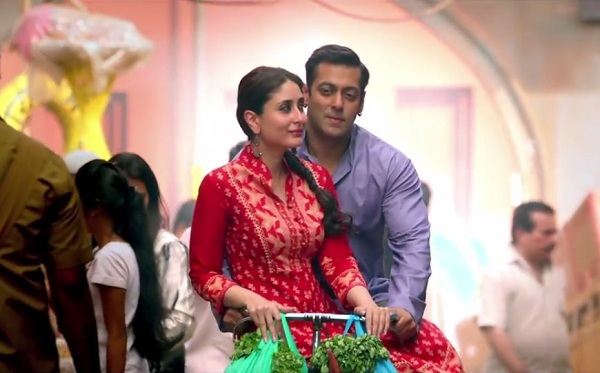 [/box] Bajrangi Bhaijaan stars Salman Khan, Kareena Kapoor Khan & Nawazuddin Siddiqui in lead roles. The film is directed by Kabir Khan and produced by Salman Khan & Rockline Venkatesh. It will be presented under the banner of Eros International and Salman Khan Films.The movie is slated to release on Eid 2015.